CBS put a press release on Friday touting its May daytime ratings, including the highest sweeps ratings for The Bold and the Beautiful since 2008, and the most-watched season of The Young and the Restless since 2009. Check out what the network had to say below. CBS Daytime delivered its most-watched regular season (4.22m) since 2006-07 and most-watched May sweep (3.99m) since 2007. 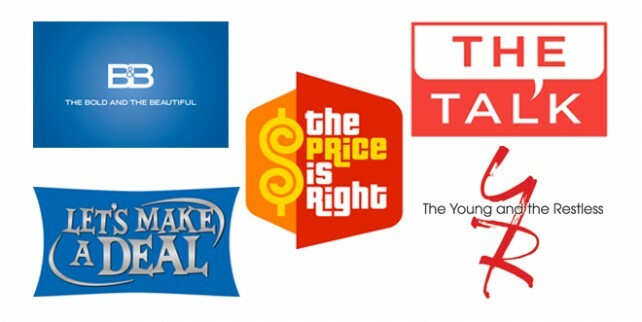 Among the Network’s daytime lineup, The Talk and Let's Make a Deal delivered their most-watched seasons and May sweeps ever; The Price is Right 1 posted its most-watched season and May sweep in over a decade while The Young and the Restless had its best season and May sweep in several years. The Talk averaged 2.79 million viewers, +3% over last year and most-watched in its six-year history. Let's Make a Deal 1 (3.20m, up +3%) and Let's Make a Deal 2 (3.67m, up +2%) were both record audiences for any season. Let's Make a Deal 1 matched its best women 25-54 (0.9) and women 18-49 (0.7) ratings. The Price is Right 1 averaged 5.09m, up +4% from last year and its most-watched season since 2001-02. The Price is Right 2, daytime’s most-watched program, averaged 5.84m, up +3% from a year ago and most-watched since 2006-07. The Young and the Restless, daytime’s most-watched drama, averaged 5.27m, up +1% from a year ago and most-watched since 2008-09. The Talk averaged 2.79m, up +12% from last May and its most-watched May sweep ever. The Talk also matched its best May women 18-49 rating (0.7, up +17% from a year ago). Let's Make a Deal 1 (3.03m, up +3% from last May) and Let's Make a Deal 2 (3.44m, up +1%) had their most-watched May sweep ever and their highest women 18-49 ratings—LMAD 1 (0.7, up +17%) and LMAD 2 (0.8, up +14%). The Price is Right 1 (4.87m, up +8%) delivered its largest May sweep audience since 2003, while The Price is Right 2 (5.59m, up +8%) had its most-watched May since 2004. Both editions notched their best women 25-54 ratings since 2013. The Young and the Restless (4.80m, up +2%) had its most-watched May since 2010. The Bold and the Beautiful (3.77m) was up +2% in viewers from a year ago and most-watched May since 2008.